Imagine How Having Unstoppable Confidence Will Allow You to Make an Impact in Your Communication and Personal Persuasion Power! It has been proven that success in business, personal relationships, and life, directly correlates to how effective our public speaking and communication skills are. How many times have we seen someone passed over for a promotion, or not given a second thought, due to their lack of confidence in communicating with others. Public speaking is one of the most powerful skills you can possess to grow your business and expand your opportunities for success! Ignite Your Speaking Power is a personal coaching program that was created to empower business owners, service professionals, and entrepreneurs to instantly become persuasive public speakers — even if they have never spoken in public before. What makes this program so unique is that it was developed after decades of experience in the Entertainment Industry by Stage, TV and Hollywood Film Star Melody Keymer Harper. Melody and her identical twin sister learned how to become successful communicators early on as child stars. Over the past 40 years Melody has devoted her life to supporting and teaching others the art of communication and public speaking skills. She has taught students, educators, business professionals, entrepreneurs, speakers, and authors how to ignite the power that was inside of them all along. Magnetically Attract More High Paying Clients Influence Buying Decisions With Your New Found Celebrity Status as the Expert in Your Field. Magnetically Attract More High Paying Clients and Customers Consistently. Speak Like a Celebrity With Unstoppable Confidence and High Impact. Make More Money Growing Your Business Exponentially. Maximize Your Value as the Go to Person That Stands Out From Others in Your Industry. Build confidence instantly and begin to attract more clients. Improve your communication skills and make more sales. Build powerful social connections and create referrals. Build your business or career opportunities. Reach multiple prospects at one time as a speaker. Develop products and business tools as an expert: Video, audio, webinars, workshops, study courses, etc. Inspire and motivate others with your message. Sign up to my mailing list and receive your FREE guidebook. 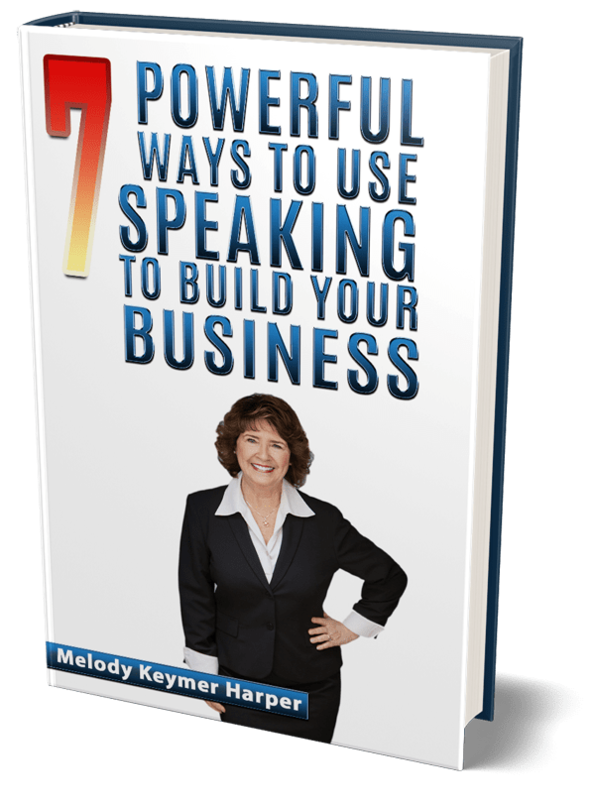 To Learn More About Melody Keymer Harper’s Speaking Programs or Live Events to Ignite Your Speaking Power! Copyright© 2019 Ignite Your Speaking Power.